This month's Jazz at Heart gig features Perpetual Motion Machine, an all-star band put together earlier this year. 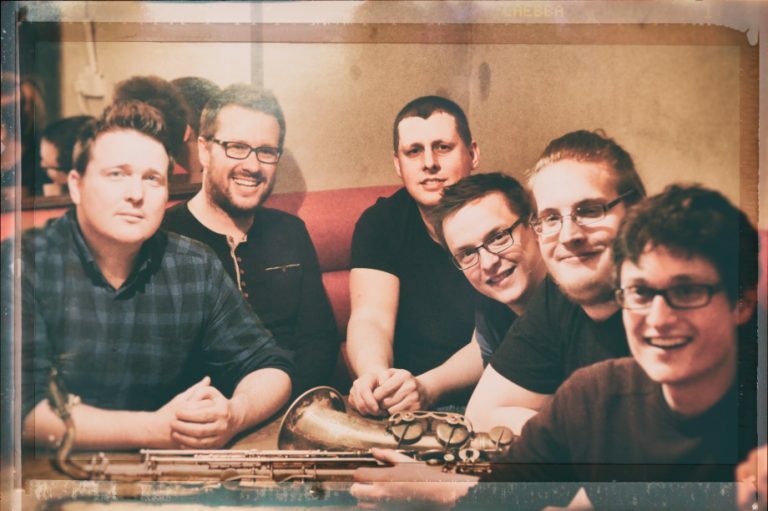 Performing at Heart for the first time, Perpetual Motion Machine are a 6 piece contemporary jazz ensemble, comprising of some of the North of England's finest improvising musicians. PMM play their own original music; a dynamic mixture of jazz, rock, funk and ambient soundscapes, with an energy and dynamism that will have you on the edge of your seat. It's a band of familiar faces in a brand new line-up - Sam Dunn and Jamie Taylor on guitars, Ben Lowman and Riley Stone-Lonergan on tenors, Garry Jackson on bass and Steve Hanley on drums. The gig starts at 7.30pm and tickets can be purchased on the Heart website or on the door for £10/6 concessions. If you'd like a taster, click here to watch the band's new video - The Cut.